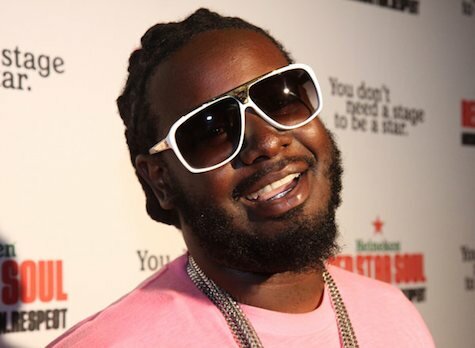 T-Pain is one of the few rappers who actually thinks logically when it comes to choosing rims on his car. 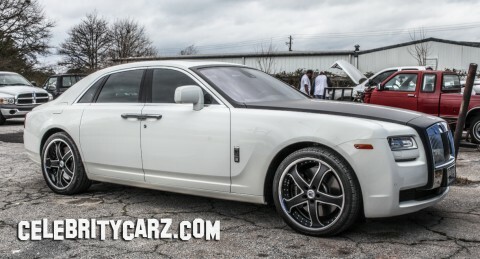 It might be because he owns his own custom shop in Atlanta, GA called Auto Extremes and knows all of the head aches that come with custom oversized rims. He tends to be very conservative with his wheel choices as you can see above. Here is his 2011 Rolls Royce Ghost sitting on a set of 22″ Asanti wheels. He could have easily put a set of 24s on this car but decided to go more conservative. Even though the paint scheme and thick 5 spoke design looks good on this car, it is still a fail in our eyes. 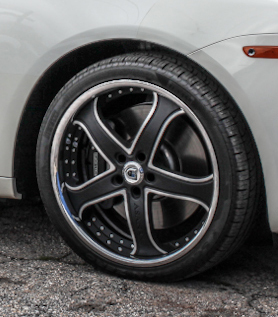 You might get a smoother ride with the smaller rims but you dont get any points on our website – you might as well have kept the stock wheels! T-Pain is a flamboyant personality, but I think this car might even be too flamboyant for him. 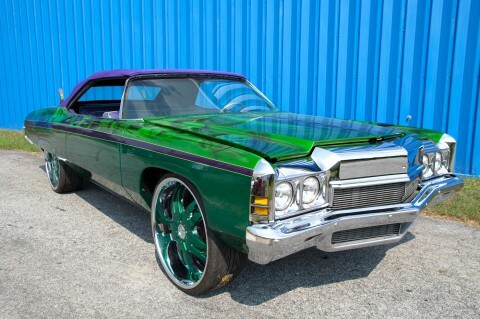 T-Pain’s Joker themed Impala is a Joke. What a waste of a classic car this build was. The entire car is painted green with purple airbrushing of the Joker on it with a purple top for the convertible. The interior is all purple and green. The wheels are 26″ cast wheels, green center with a chrome lip. The worst part about it all is the quality and excellent work that was put into this car. The paint job is super clean, the airbrushing is very well done, the engine is pristine, the interior is done up along with a banging audio system. 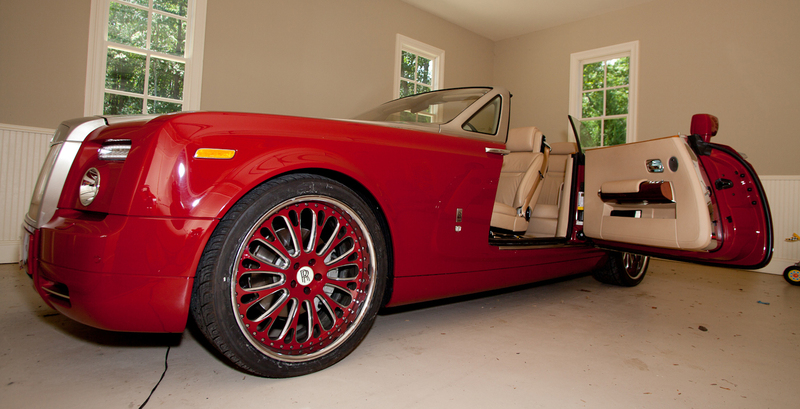 This is T-Pain’s red Rolls Royce Phantom Drop Head. 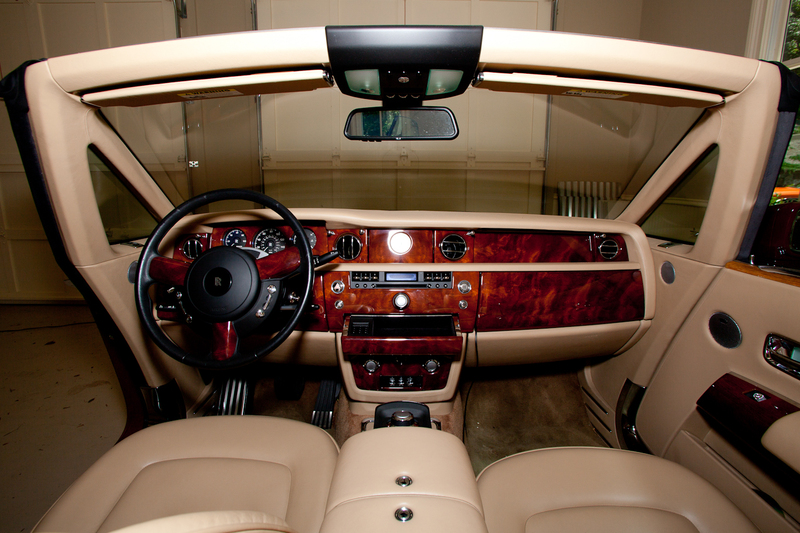 The Drop Head is one of the most luxurious rides money can buy. T-Pain has equipped this car with some custom 24″ wheels, color matched red to the car with chrome trim and a chrome lip. A red phantom is very rare and it looks great. Love how he went with the brushed aluminum hood upgrade. Could have went a little bigger with the wheels but it still a good fitment. The meat on the tires will help protect the wheels when you hit a pot hole in this 7000 lb car. I would expect a little more flash out of T-pain, but it is a beautiful car and nice set up. 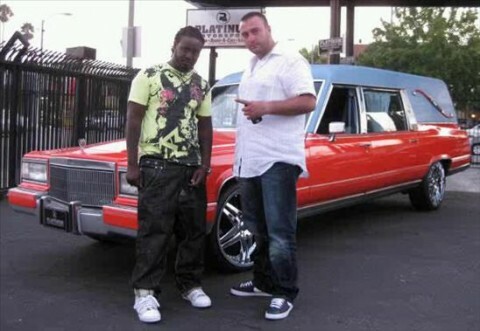 Here is T-Pain with George from Platinum Motorsport standing infront of his custom HEARSE! I dont know why he has a hearse but since he does have one, might as well pimp it out. And that is exactly what he has done. Some of the customization includes custom orange paint job, chrome rims, blue top and a matching blue fiberglass coffin in the back. The coffin is filled with speakers and tvs. I love the originality. I just wish they had done something cool to the grille in the front.